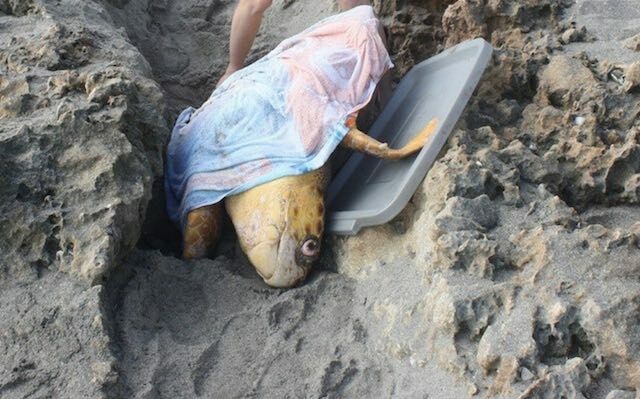 It took at least nine people to rescue a loggerhead turtle after she flipped onto her back trying to get back to the sea. 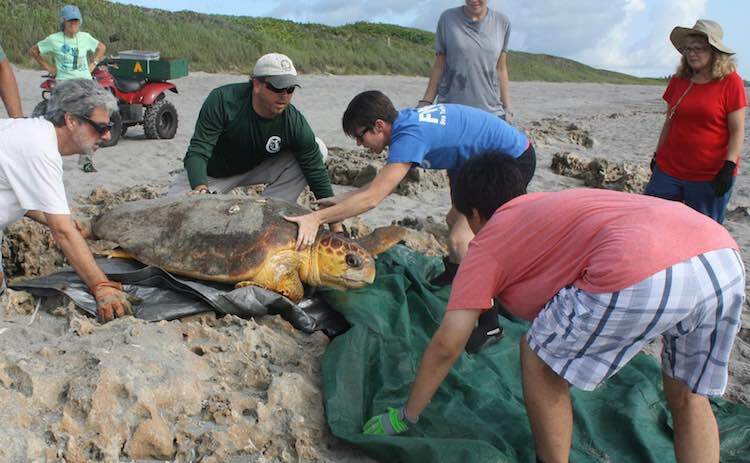 It was no easy chore for the volunteers because adult loggerheads weigh 350-pounds on average. This female had fallen into a trench on a rocky beach at Blowing Rocks Preserve on Florida’s Atlantic coast, couldn’t right herself, and was fading fast. Florida Fish and Wildlife professionals responded along with members of the Nature Conservancy and worked to dig the turtle out of the sand and safely flip her over so she could continue her trip to the ocean. The Fish and Wildlife Commission documented the rescue on its Facebook page and is using it as a “teaching moment” for people headed to the beach this summer. 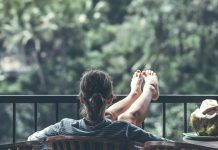 The commission posted tips on protecting and helping the endangered turtles, including advice to refill any holes dug on the beach and stay away from turtles in the evening so they won’t be disturbed on their way to the sea. Loggerheads are powerful and graceful swimmers in the water, but can become disoriented on land. 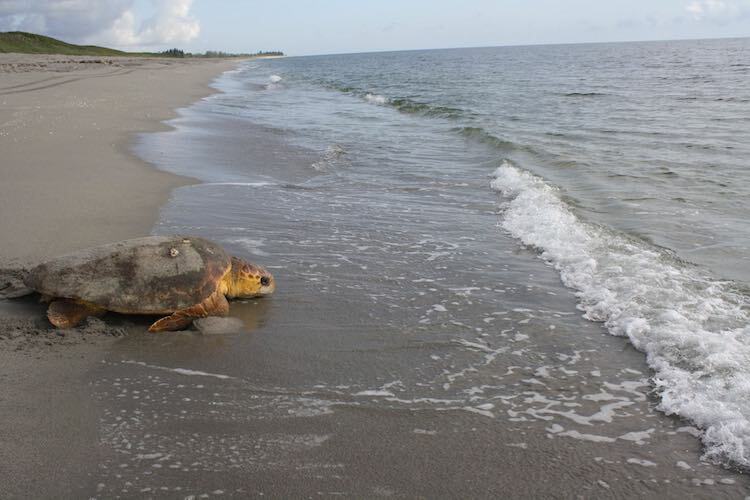 Efforts to protect them in recent years have included declaring 88 beaches “critical habitat” for the species and even a Coast Guard rescue of 200 turtles when they were trapped in cold ocean currents on the North Carolina coast in January.